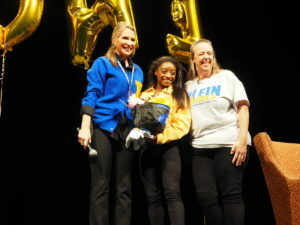 Simone Biles, the world’s most decorated Olympic gold gymnast, returned to her Klein, TX roots Monday to personally thank the near 250 students of Klein High School’s KleinServes organization for volunteering in her February 2019 Biles Invitational. 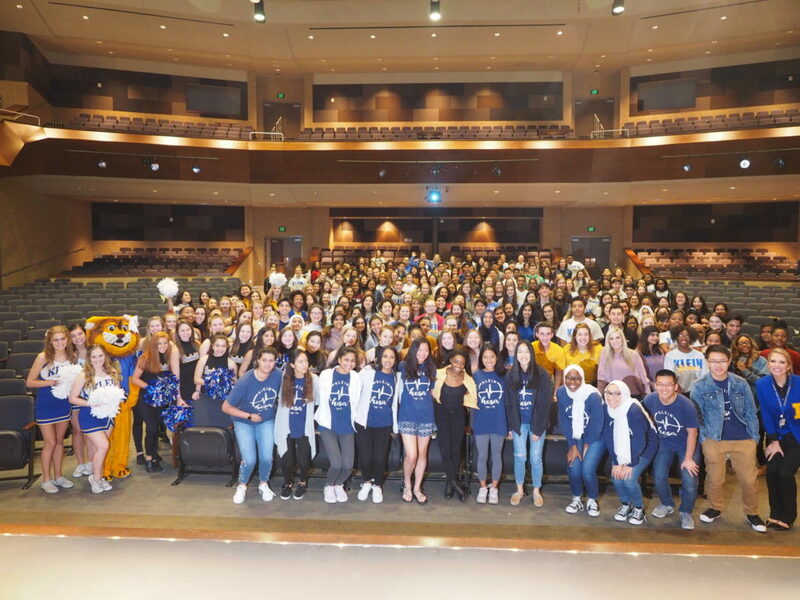 During the four-day international invitational, Klein High students and staff devoted a total of 1,710 hours to making sure that the event was a success. Biles expressed gratitude for their commitment to her event while sporting a Klein gold jean jacket. Biles speaking with KleinServes sponsor, Kristen Haggard. “It wasn’t easy, it was a lot of hard work, but I thank [everyone] who came out,” she said. Biles was greeted with an authentic Bearkat pep-rally introduction before sitting down for a Q-and-A session. 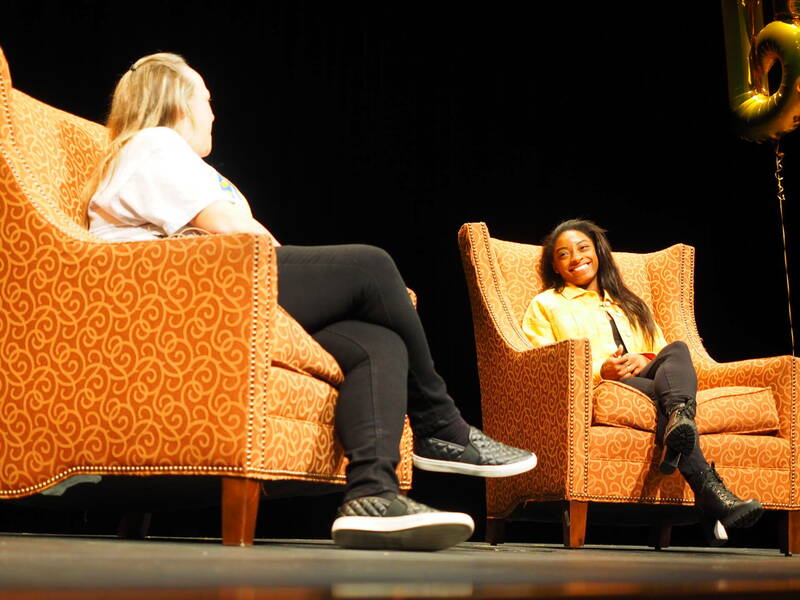 Although the Olympian and our values-driven leaders found common ground on topics such as perseverance, role models, rap music and fur children, Biles’ true hope is that the learners are inspired by her homegrown success. KleinServes Sponsor Kristen Haggard said that the experience of meeting the athlete was much-deserved. The support that Klein High showed Biles is not something that she will soon forget as she reminded the Bearkats that their high school education and experience is a privilege that she missed out on. Biles is officially an honorary Bearkat and has an open invitation to any Klein High School football game, courtesy of Principal Jessica Haddox.